Heavy duty, made to last for years. Can be used on all kinds of band and push pin link. 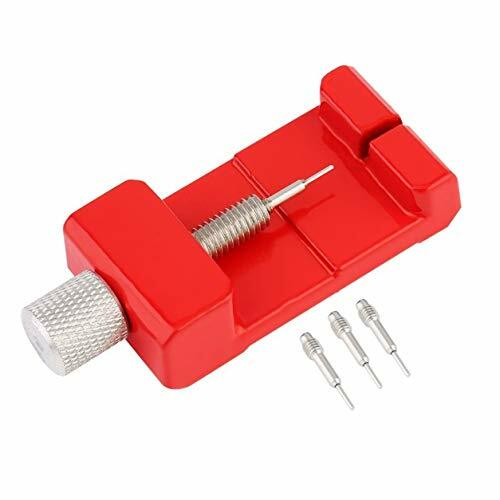 Good quality metal(aluminium alloy) tool for working on watch bands, removing pins and removing or adding links on a bracelet or strap. Comes with 3 replacement tips. High quality professional aluminum alloy tool. Easy to use, suitable for personal and professional use. Compact and lightweight, portable to store.